Officials announced the winner at an event Thursday night. It was the first city-sponsored competition that identifies budding apps designed to positively impact the community. 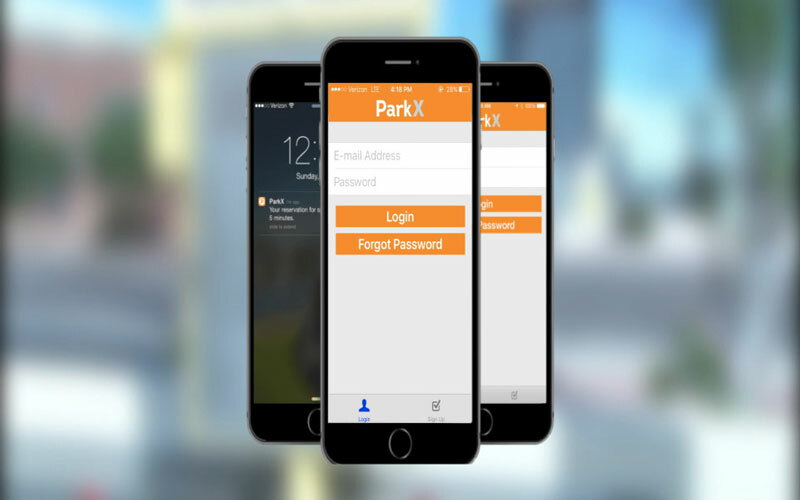 ParkX, formerly known as Park Genius, allows users to pay for parking via their smartphone. It’s a payment solution for drivers who don’t carry cash and need to park at cash-only lots or at meters. To use the app, users need to enter their debit or credit card information, parking spot number, license plate and duration. Joe Katarski, who owns a parking lot downtown, partnered with ParkX. “More and more, people are asking if we accept credit cards, and I’m getting sick and tired of telling them that we don’t,” he said. Thomas McGuire, Ross Shanken, Wyatt Richardson and Weiss founded the Tucson startup. The Smart City App Hack is an international program focused on the development of apps that address challenges in cities, according to its website. The four other finalists were Synergy AZ, HER, Bloodhound and Bus Plus. Cronkite News reporters Jacqueline Padilla, Lynnie Nguyen and Lauren Clark contributed to this article. Bloodhound – To help those who suffer dementia or diseases that may affect the brain, Bloodhound serves as a way to return them safely home. Using Bluetooth enabled gadget, it sends an alert to app users that a missing person is nearby. ParkX – An app that attempts to bring parking meters to the 21st century. The technology allows drivers to pay directly from their smartphones, monitor time left, and add extra money electronically. Synergy AZ – A platform that connects volunteers with projects. The app helps improve the Phoenix metro community by providing residents a network of people to assist with their civic projects. Bus Plus – The app may help bus commuters in the Valley better plan their day. Each public bus will be tracked a mile away, allowing users to view detailed information about its route, speed and number. Her – Self-described as “Amazon meets Siri,” this app uses software that can comprehend language patterns. The result is allowing users to shop, buy and text via voice on any smartphone device.